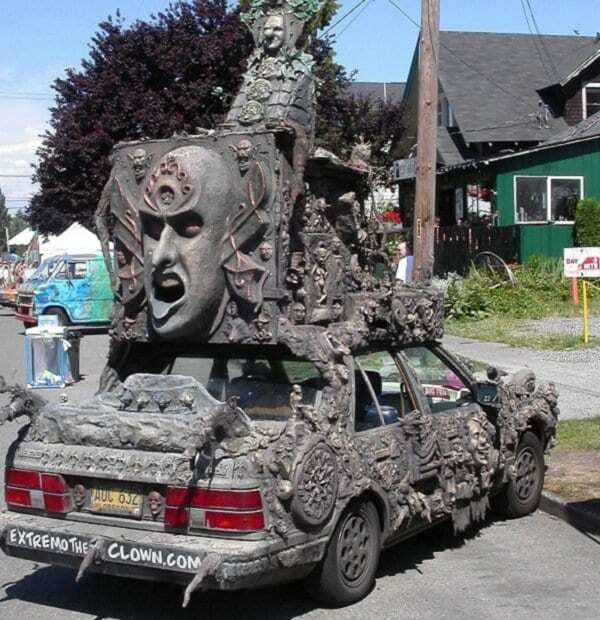 Let us take you to a tour of some of the weirdest cars you can imagine. 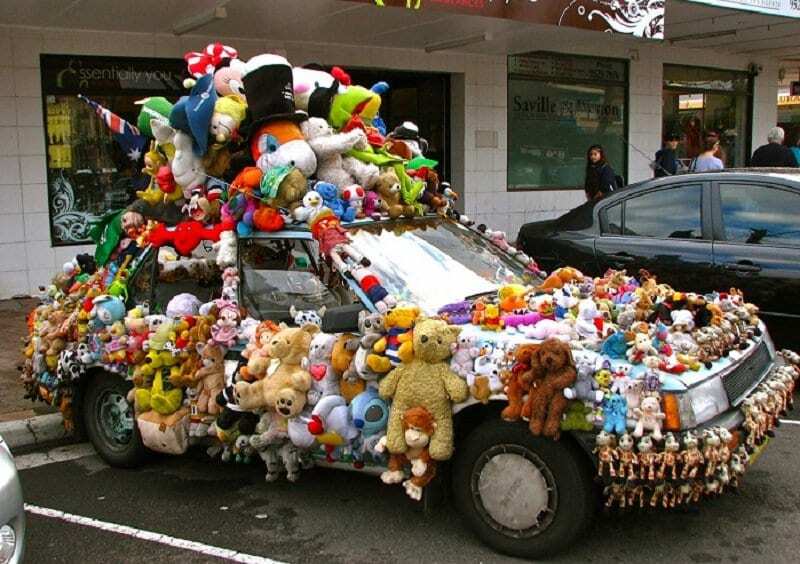 These cars are located all over the world. Some of them were built for marketing purposes, some of them are fan-made, but surely all of them are built for fun. You will see some of the biggest surprises when it comes to design. Plus, you will see the prototype of a future flying car. Buckle up and let us begin. Since the beginning of time, animals were inspirations for new technologies built by humans. 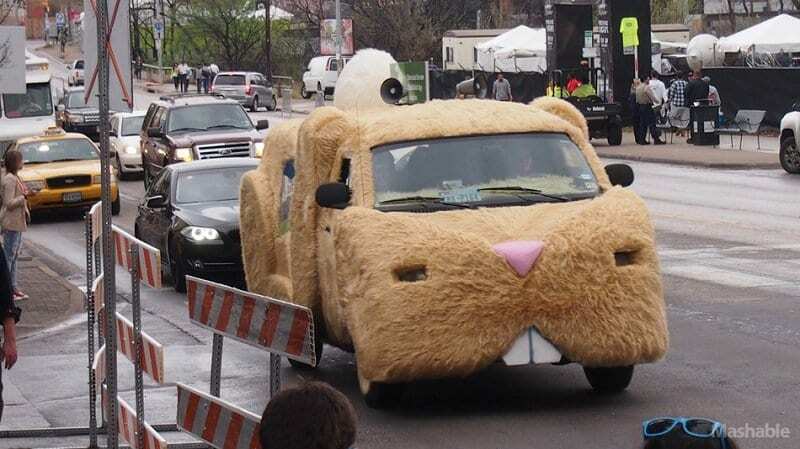 Nowadays, we have cars that are built to look like animals. 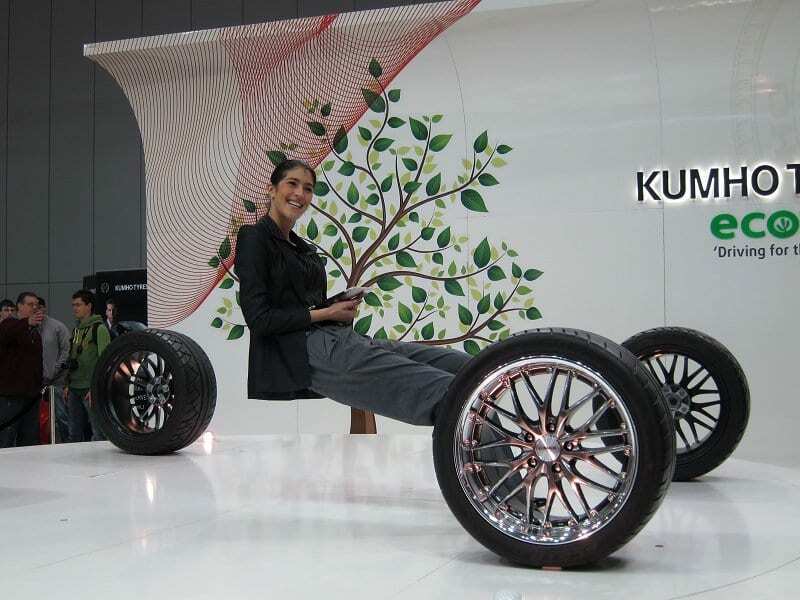 As we already said, enthusiasts all over the world love to make this type of cars, for fun, or for marketing purposes. You can see cars that are based on animals like spider, fish, snail, and hamster. Naturally, vehicles built to look like food are most likely built for promoting certain products. All of us have seen cars that are looking like a hot dog, and it is used for selling… hot dogs. Also, you have seen a car that looks like an ice cream that sells ice cream. 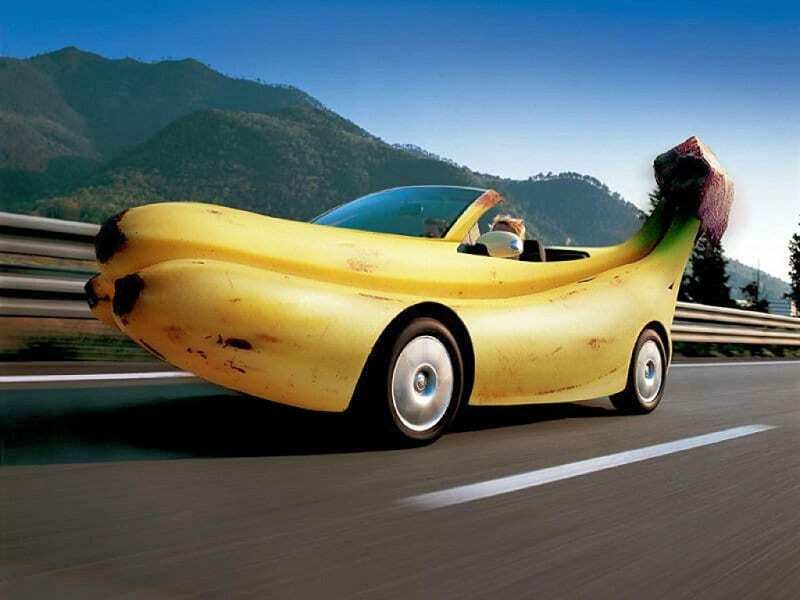 Other than that, you have some vehicles looking like banana or apple, and they are built by enthusiasts. Did you think about how cars will look in the future? Well, you surely have. When we say that, we are not thinking about flying cars that we are watching while we eat popcorn and admire 3D Sci-fi movies of today. We are going to present you with a car that can go underwater, an invisible car, and last but not least, a flying car, that will probably have an influence on future cars. This is probably the biggest segment in our article. We don’t know what to say about these. See for yourselves. They say that when you have money the world is yours, right? That is surely the case. On TV, you probably have seen all the cars that are very popular among celebrities. But, what happens when people are taking thing overboard with design perhaps? Let us give you an insight into it. 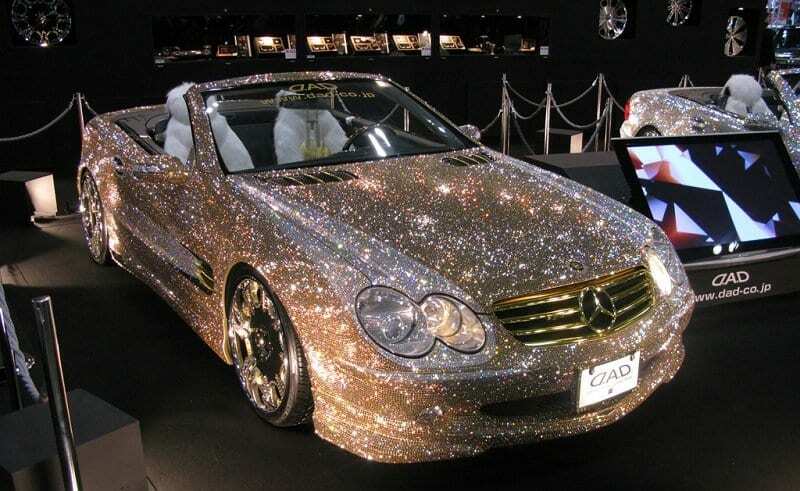 From cars made of gold, a car made of diamonds, and a car that looks like it is out of this world. At least for today. In the previous segment, we talked about luxury cars that have been taken overboard. Now, we are going to see the same thing, but with some of the bizarre design, you have ever seen. 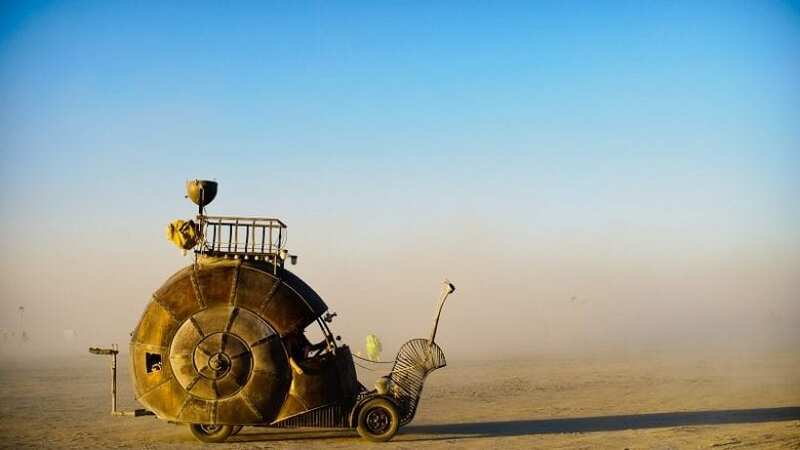 What would you say if someone tells you that he has a car that looks like a shoe? Or one made of teddy bears? Stay with us for a couple of minutes more and you will see much more than these two. Who doesn’t love to see a car that appeared in movies? We are sure that everyone loves to see one in real life. We are certain that most of our readers were watching Scooby Doo when they were kids. 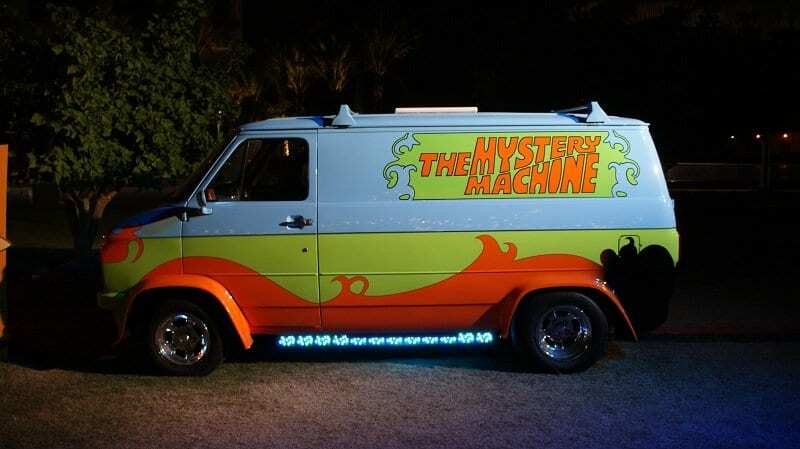 Imagine if you saw “The Mystery Machine” driving right beside you. Wouldn’t that be cool? Well, yes, it would.